It is a true testament of love when we see the bond between man and wife. When one spouse dies before the other, the pain and suffering endured through the separation can literally break the heart of the grieving. 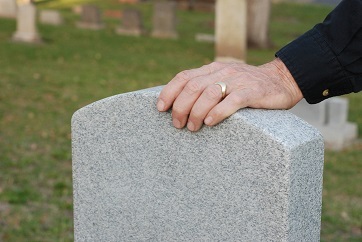 In many cases, in older couples especially, we see the following spouse die months later. Experts say the emotional devastation of losing a life partner can also take a toll, sometimes even causing a potentially deadly condition commonly known as broken-heart syndrome (or by its medical name, takotsubo cardiomyopathy). To learn more about death and dying, as well as becoming a certified Grief Counselor, please review our program. Our Grief Counseling Program can help prepare qualified professionals to help others going through loss and grief. This entry was posted in Grief Counseling and tagged grief counseling certification. Bookmark the permalink.